I will post seven new problems every weekend, one for each day of the week. The idea is that you work on your own during the week and I will post answers the following Friday at 7pm. Because this webpage went public only a few days ago, some kids have just discovered it and asked me whether they could have this weekend to finish the problems from the first two weeks. So I will wait till Sun Sept 27 to post the answers. To those of you who have already submitted, thank you and keep practicing! Answers for Sept 12-26 are posted under the week headers. Information sheet: JerseySTEM would like to collect participant info. From gmail.com login with your a jerseystem.net account. If you don’t yet have one, please enter Username: guest@jerseystem.net, Password: mathisfun. Click this information sheet and fill in info about yourself. You will be issued a jerseystem.net account with the form firstname.lastname@jerseystem.net (like mine). Click GoogleForm after the week header, e.g. Week of September 12-18, Week of September 19-25, to submit the weekly answers. Make sure you write your name on the form and submit your answers before I post mine on Friday at 7pm. Prizes: As encouragement, JerseySTEM is offering prizes to recognize those who have consistently answered questions correctly. The first round of prizes will be given out on Friday, Oct 23, 2015, to recognize high performers for the time period Sept 12 – Oct 16, 2015. Details to follow. Week of Sept. 26 – Oct. 2: This week’s topic is about computing average. Click GoogleForm to submit this week’s answers. Theresa’s parents have agreed to buy her tickets to see her favorite band if she spends an average of hours per week helping around the house for weeks. For the first weeks she helps around the house for , , , and hours. How many hours must she work for the final week to earn the tickets? The average age of people in a room is years. An -year-old person leaves the room. What is the average age of the four remaining people? 1. The largest isn’t first, but it is in one of the first three places. 2. The smallest isn’t last, but it is in one of the last three places. 3. The median isn’t first or last. What is the average of the first and last numbers? Gage skated 1 hr 15 min each day for 5 days and 1 hr 30 min each day for 3 days. How long would he have to skate the ninth day in order to average 85 minutes of skating each day for the entire time? Blake and Jenny each took four 100-point tests. Blake averaged 78 on the four tests. Jenny scored 10 points higher than Blake on the first test, 10 points lower than him on the second test, and 20 points higher on both the third and fourth tests. What is the difference between Jenny’s average and Blake’s average on these four tests? The average of the five numbers in a list is . The average of the first two numbers is . What is the average of the last three numbers? Week of September 19-25: This week’s topic is geometry. Click GoogleForm to submit this week’s answers. 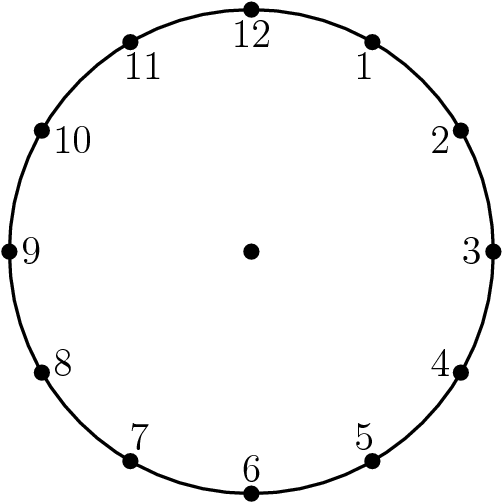 What is the degree measure of the smaller angle formed by the hands of a clock at 10 o’clock? Triangles , , and are all equilateral. Points and are midpoints of and , respectively. 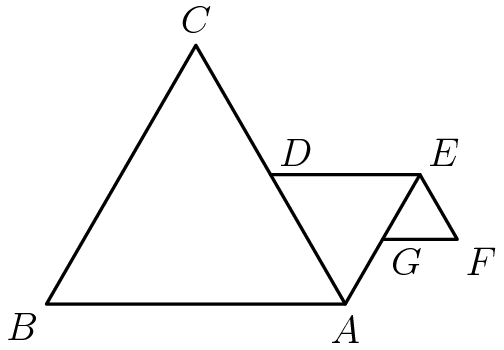 If , what is the perimeter of figure ? 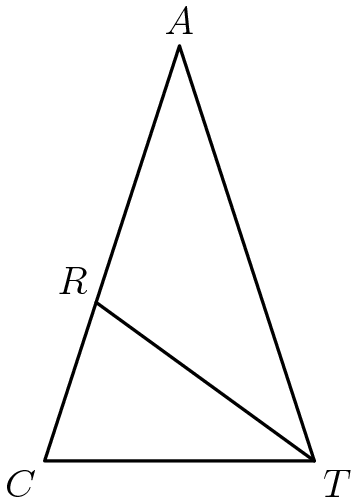 Given the areas of the three squares in the figure, what is the area of the interior triangle? 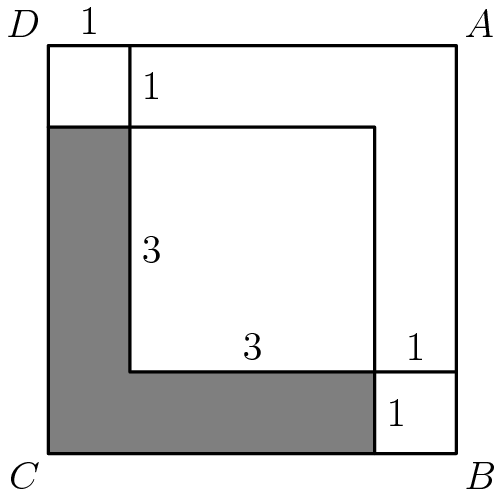 The following figures are composed of squares and circles. 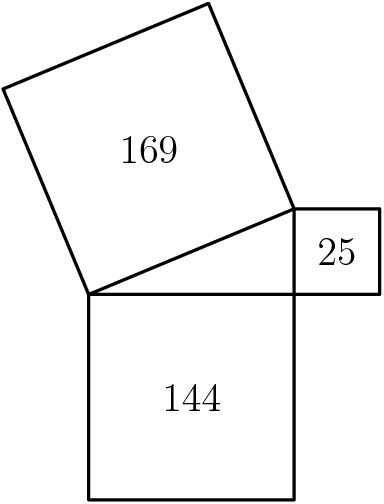 Which figure has a shaded region with largest area? Week of September 12-18: This is the first week, so let’s start easy with some simple calculation problems. These happen to be initial questions in many of the past tests. Click GoogleForm to submit this week’s answers. For , which of the following is the smallest? Which triplet of numbers has a sum NOT equal to 1? Aunt Anna is years old. Caitlin is years younger than Brianna, and Brianna is half as old as Aunt Anna. How old is Caitlin? Each principal of Lincoln High School serves exactly one -year term. What is the maximum number of principals this school could have during an -year period? Casey’s shop class is making a golf trophy. He has to paint 300 dimples on a golf ball. If it takes him 2 seconds to paint one dimple, how many minutes will he need to do his job? Granny Smith has $63. Elberta has $2 more than Anjou and Anjou has one-third as much as Granny Smith. How many dollars does Elberta have?